Prepare for the looks, glares, and stares. It is not easy to overlook the all-new 2018 Toyota Camry-it demands attention at every corner. With its bold new design and enticing performance, the all-new Camry begs to be driven. The beloved best-seller has been perfected over the years allowing the creation of thrilling and exciting driving experience like never before. 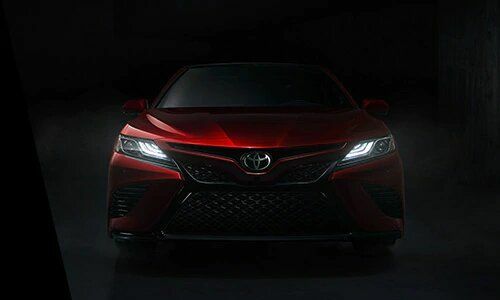 Let the compelling design and bold exterior stylings of the all-new 2018 Camry proclaim its arrival with authority. The Camry's driver-centered controls are both fluid and dynamic while helping you embrace each journey with ease. A dual exhaust system with quad chrome tips is available and accentuates every athletic shift, while inside, you will enjoy a roomy and more spacious environment, thanks to the available panoramic glass roof/moonroof combination. 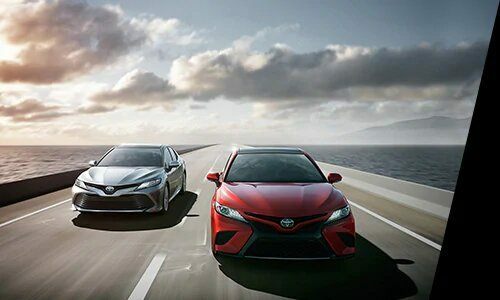 The all-new 2018 Camry offers three new powertrains: a new 3.5-liter V6 with D-4S Fuel Injection, an all-new 2.5-liter inline-4 gasoline engine, which comes paired to the new 8-speed Direct-Shift automatic transmission, and the next-generation Toyota Hybrid System (THS II). The new generation engines focus on higher power, higher torque and improved fuel efficiency. The new engines are expected to be extremely fuel efficient and are anticipated to achieve best-in-class fuel economy. The upgrade to the SE trim level will add paddle shifters for sporty driving experience. The all-new 2018 Camry emphasizes Toyota's latest Human Machine Interface (HMI). This impressive display technology provides minimal distraction with an unprecedented level of integrated information. The HMI system sends information through three inter-connected displays; an available 10" full-color Head-Up Display (HUD), a 7" multi-information display, and a 8" audio/navigation display and climate control panel. The all-new 2018 Camry comes standard with ten airbags, backup camera, and offers Toyota Safety Sense™ P (TSS-P) standard on all models for your peace of mind. 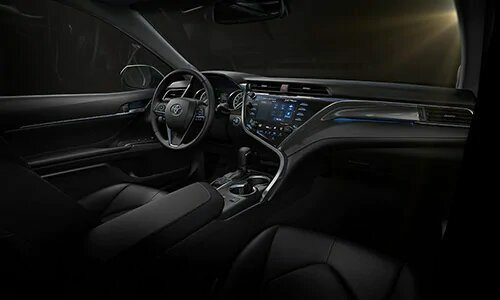 Toyota Safety Sense™ is a multi-feature advanced safety suite which bundles cutting-edge safety technology including Dynamic Radar Cruise Control (DRCC), Pre-Collision System with Pedestrian Detection (PCS w/PD), Lane Departure Alert with Steering Assist (LDA w/SA) and Automatic High Beams (AHB). Qualifying models will also offer Blind Spot Monitor (BSM) with Rear Cross Traffic Alert (RCTA) standard. 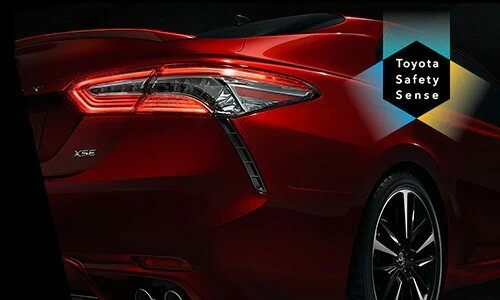 Every 2018 Camry has Toyota's Star Safety System™ which combines Traction Control, Brake Assist, Anti-lock Braking System, Enhanced Vehicle Stability Control, Smart Stop Technology®, and Electronic Brake-force Distribution. *All-in price of $28,432.50 is for the Toyota Camry L. All-in price includes Freight and PDI of $1,715, Air Conditioning Charge of $100, E.H.F of $17.50, and $10 OMVIC Fee. License, insurance, registration, and applicable taxes are extra. Dealership may sell for less.